The practice of Evans MacIsaac MacMillan was commenced by Gerald J. Doucet in 1961. It has gone through a number of transformations during its 50 years. Its former partners include Gerald J. Doucet (former MLA for Richmond County from 1963 – 1974) and the Honourable F.B. William Kelly (appointed to Family Court in 1984 and Supreme Court in 1985). The careers of the current partners, L.K. (Larry) Evans, Q.C., Harold A. MacIssac, Hugh MacIsaac and Wayne J. MacMillan total well in excess of 100 years. The firm became EMM Law Incorporated in 2003. 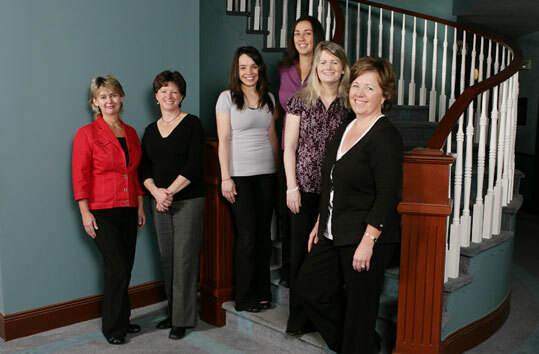 Our paralegals and assistants provide excellent support for our practice. I just wanted to thank you for all your hard work in getting my divorce finalized this year. I sincerely appreciated your efficiency and professionalism throughout the whole tedious process.